Pope Francis proclaimed Mother Teresa of Calcutta a saint of the Roman Catholic Church on Sunday, 19 years after her death. 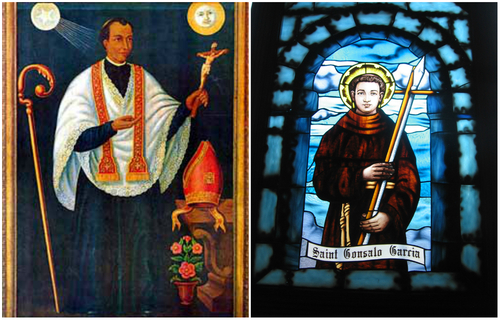 International Business Times, India EditionIndia has had a long history of Christianity, and produced several saints. 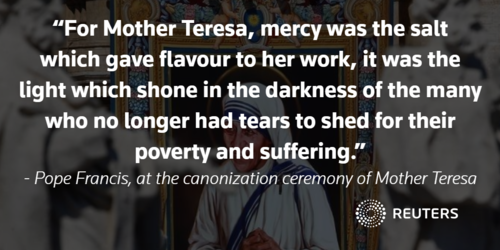 Reuters IndiaThe canonization of Mother Teresa of Calcutta marked the culmination of a process - sometimes called "the saint-making machine" - that is long, complex, expensive, opaque and often contentious. Pope John Paul II, who met her often, put Mother Teresa on the route to canonization two years after her death instead of the usual five. Pope Francis said it might be difficult to call Mother Teresa "Saint" as people felt so close to her they spontaneously used "Mother". 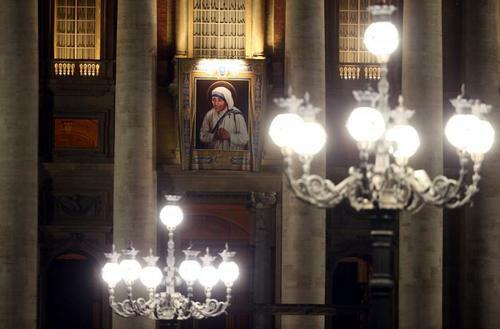 The Vatican estimates that around 120,000 people attended the canonization ceremony.